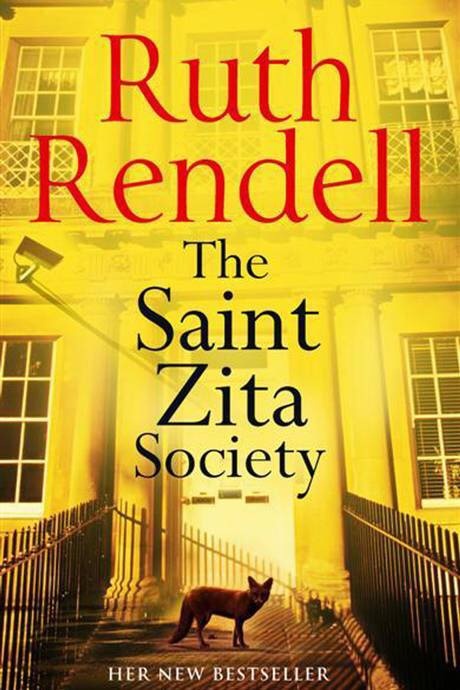 I am a big fan of the gripping crime novels of Prolific English Author Ruth Rendell, Baroness Rendell of Babergh, CBE, who sadly passed away Saturday 2 May 2015. Born Ruth Barbara Grasemann on 17 February 1930, in South Woodford, London. She was educated at the County High School for Girls in Loughton, Essex. After high school she became a feature writer for her local paper, the Chigwell Times. Even at an early age, making up stories was irresistible to Rendell. As a reporter, she visited a house that was rumoured to be haunted and invented the ghost of an old woman. The owners threatened to sue the newspaper for devaluing their home. Later, she reported on the local tennis club’s annual dinner without attending, so missing the untimely death of the after-dinner speaker in mid-speech. She resigned before she could be fired. Rendell met her husband, Don Rendell when she was working as a newswriter. They married when she was 20, and had a son, Simon, now a psychiatric social worker who lives in Colorado. The couple divorced in 1975, but remarried two years later. Rendell is known best for writing gripping Psychological Murder Mysteries and her best Known creation, Chief Inspector Wexford, is the hero of many popular police stories. Rendell started her career when she wrote two unpublished novels before finally striking lucky with the 1964 publication of From Doon With Death, which was the first mystery to feature her enduring and popular detective Chief Inspector Reginald Wexford, who is featured in From Doon with Death, a New Lease of Death, Murder being once done, Put on by Cunning, an Unkindness of Ravens, Road Rage, Adam &Eve & Pinch Me and The Monster in the Box. some of her novels have also been adapted for TV. Best known for the humorous travelogue Three Men in a Boat, the English Writer and Humourist Jerome K Jerome, was born this date 2nd May 1859 in Caldmore, Walsall, England, and moved to London, where He attended St Marylebone Grammar School. 14 June 1927). The young Jerome wished to go into politics or be a man of letters, but the death of his father at age 13, and his mother at age 15, forced him to quit his studies and find work to support himself. He was employed at the London and North Western Railway, initially collecting coal that fell along the railway, and remained there for four years.In 1877, inspired by his older sister Blandina’s love for the theatre, Jerome decided to try his hand at acting, under the stage name Harold Crichton. He joined a repertory troupe that produced plays on a shoestring budget, Jerome was penniless at the time. After three years on the road and with no evident success, the 21-year-old Jerome decided he’d had enough with stage life, and sought other occupations. He tried to become a journalist, writing essays, satires and short stories, but most of these were rejected. Over the next few years he was a school teacher, a packer, and a solicitor’s clerk. Finally, in 1885, he had some success with On the Stage — and Off, a comic memoir of his experiences with the acting troupe. Idle Thoughts of an Idle Fellow, a collection of humorous essays, followed in 1886. On 21 June 1888, Jerome married Georgina Elizabeth Henrietta Stanley Marris (a.k.a. Ettie), nine days after she had divorced her first husband. She had a daughter from her previous, five-year marriage, nicknamed Elsie (her actual name was also Georgina). The honeymoon took place on the Thames “in a little boat,” a fact which was to have a significant influence on his next, and most important work, Three Men in a Boat. Jerome started writing Three Men in a Boat as soon as the couple returned from their honeymoon. In the novel, his wife was replaced by his longtime friends George Wingrave (George) and Carl Hentschel (Harris). This allowed him to create comic situations which were nonetheless intertwined with the history of the Thames region. The book, published in 1889, became an instant success and is still in print. Its popularity was such that the number of registered Thames boats went up fifty percent in the year following its publication, and it contributed significantly to the Thames becoming a tourist attraction. The book has also been adapted to movies, TV and radio shows, stage plays, and even a musical. Its writing style influenced many humorists and satirists in England and elsewhere. Following on from this success Jerome dedicated all of his time to writing and wrote a number of plays, essays and novels, but was never able to recapture the success of Three Men in a Boat. In 1898, a short stay in Germany inspired Three Men on the Bummel, the sequel to Three Men in a Boat. While reintroducing the same characters in the setting of a foreign bicycle tour, the book was unable to capture the life-force and historic roots of its predecessor, and only enjoyed a mild success. In 1902 he published the novel Paul Kelver, which is widely regarded as autobiographical. His 1908 play The Passing of the Third Floor Back introduced a more sombre and religious Jerome. This was a tremendous commercial success but was condemned by critics.During World War I, he volunteered as an ambulance driver for the French Army but this experience was said to have dampened his spirit, as did the death in 1921 of his stepdaughter, Elsie. In 1926, Jerome published his autobiography, My Life and Times. Shortly afterwards, the Borough of Walsall conferred on him the title Freeman of the Borough. During these last years, Jerome spent more time at his farmhouse in Ewelme near Wallingford. Sadly in June 1927 Jerome suffered a paralytic stroke and a cerebral haemorrhage during a motoring tour and lay in Northampton General Hospital for two weeks before succumbing on 14 June. He was cremated at Golders Green and his ashes buried at St Mary’s Church, Ewelme, Oxfordshire. Elsie, Ettie, and his sister Blandina are buried beside him. His legacy lives on in the form of a French graphic novel series named Jérôme K. Jérôme Bloche after the author and There is a street named after him called Jerome Road in Alumwell and Walsall Museum has some of Jerome’s writing equipment on permanent display. 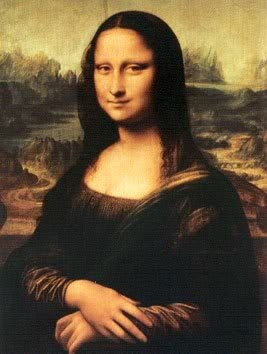 Italian Renaissance polymath: painter, sculptor, architect, musician, scientist, mathematician, engineer, inventor, anatomist, geologist, cartographer, botanist, and writer Leonardo da Vinci sadly passed away on this date 2nd May in 1519. 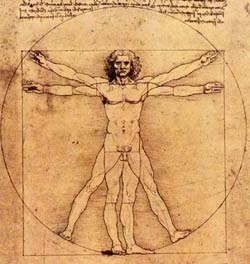 His genius, perhaps more than that of any other figure, epitomized the Renaissance humanist ideal and he has often been described as the archetype of the Renaissance Man, a man of “unquenchable curiosity” and “feverishly inventive imagination”. He is widely considered to be one of the greatest painters of all time and perhaps the most diversely talented person ever to have lived. The scope and depth of his interests were without precedent and “his mind and personality seem to us superhuman, the man himself mysterious and remote”. Some points out, that Leonardo’s vision of the world is essentially logical rather than mysterious, and that it was the methods he employed which were ahead of their time.